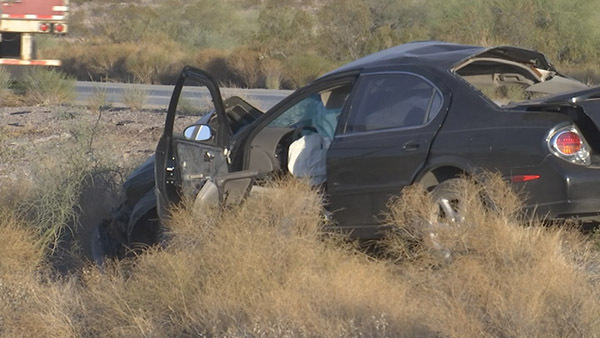 Tonopah, Arizona—Benjamin Boaz Gayongala, age 22 of Surprise, was killed Sunday afternoon on Interstate 10 when a commercial vehicle changed lanes into a Nissan sedan, causing the Nissan to cross the interstate median where it struck a Cadillac station wagon. Mr. Gayongala was a passenger in the Cadillac. The tragic incident occurred near 339th Avenue in Tonopah. The driver of the commercial vehicle left the scene. Two other victims were transported to a hospital for treatment of non-life-threatening injuries. We express our sympathy to the family and friends of Mr. Gayongala and we wish those who were injured speedy and complete recoveries.